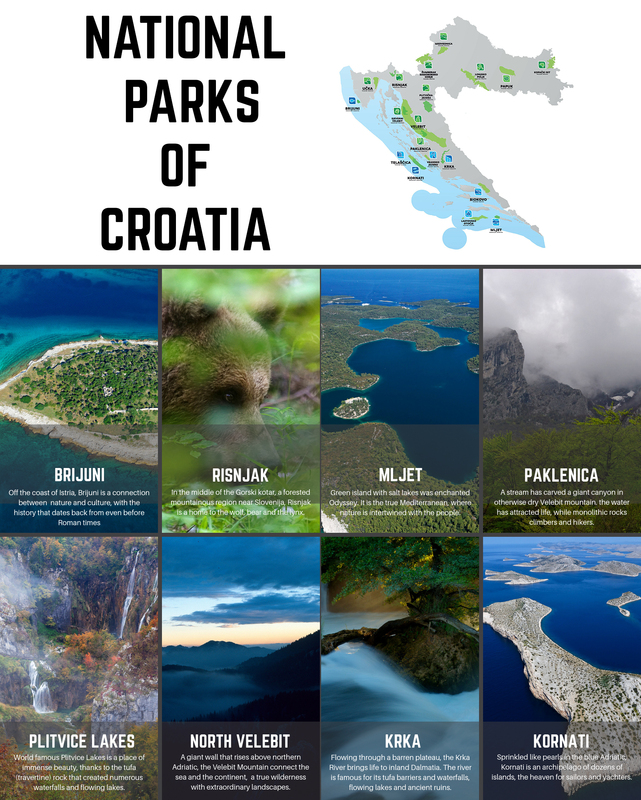 Guide to national and nature parks in Croatia - Explore Croatia Become a Patron! Croatia is blessed with extraordinary nature and national and nature parks are safeguards of them. Plitvice Lakes, Krka, Kornati are just some of them. Thanks to the organized nature protection for decades, these protected areas are preserved from urbanization. Furthermore, they offer tourist infrastructure, the possibility to see some of the most exciting places in Croatia. 19 parks that annually draw over 4 million visitors, are inviting you to discover them yourself. When looking at the level of biodiversity, Croatia belongs to the richest European countries, with over 38,265 species, 1,089 of them endemic. Croatia is the third country in Europe in terms of the ratio of surface and number of flora species, and the eighth country in Europe when it comes to the diversity of mammal species. Out of five large carnivore species living in the area of Europe, three species can be found in Croatia – wolf (Canis lupus), lynx (Lynx lynx) and brown bear (Ursus arctos). Croatia currently has a well-developed system that includes 420 protected areas in total, divided into nine protected area categories: special and strict reserves, national parks, nature parks, regional parks, nature monuments, significant landscapes/seascapes, forest parks, and horticultural monuments. Collectively, these protected areas cover a total area of 717,921 hectares, encompassing approximately 11.61% of the terrestrial and inland water ecosystems of Croatia and 1.97% of the country’s marine territorial waters. For starter, see the basics about the diversity of the Croatian nature. Croatia boasts 19 nature and national parks. 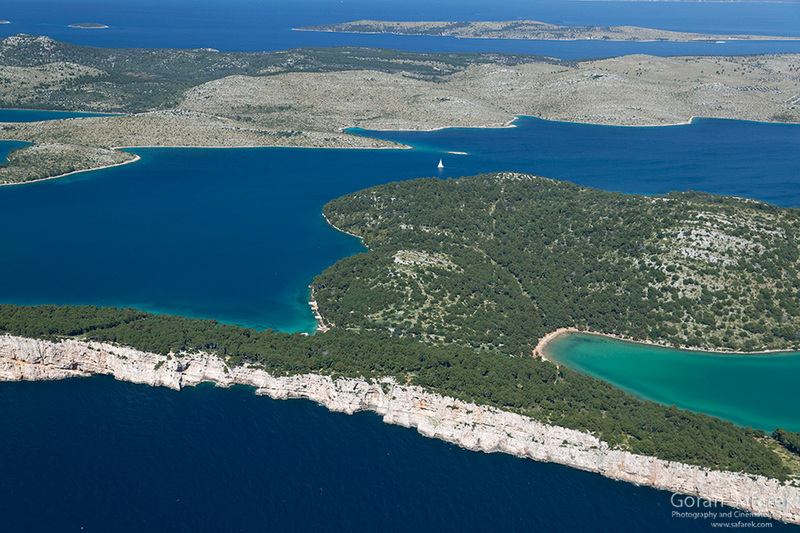 Based on IUCN categories, Croatian nature and national parks have a high level of protection. The nature park category is softer, where economic activities are allowed, while national parks are fully protected. So, basic rules of conduct are prescribed – do not harm the nature, camp, make fire etc. Each park has also its own rules, so follow the instructions. Entrance fees in national parks vary widely, ranging from 30 kunas to several thousand kunas to the luxury boats. The most popular, like Plitvice Lakes, Krka and Brijuni are very expensive, while huge ones like Sjeverni Velebit are the cheapest. Nature parks are much more slouch to charging you, usually, you have to pay for a guided tour. Blend of modern times and classic, pristine nature and zoo, hotels and exclusive villas, Brijuni are the most unusual of all national parks in Croatia. Inhabited and enjoyed from even before Romans, the island was depopulated at medieval times, only to be revived by Austrian Kupelweiser. He transformed it to elite destinations for aristocracy and celebrities that continued even to the days of Yugoslav president Tito. Brijuni has become his residency, where many other presidents, prime ministers, and kings came to a visit. Today, nature is mostly preserved, at place intact, especially in the smaller islands. The visit to the Brijuni begins at Fažana near Pula, where you take a boat. On Brijuni, there is a range of activities. If you are alone, you can tailor make your trip. If you stay more days at some of the hotels, you have much more time to explore. Visit to Brijuni will cost you around 200kn in high season, the ticket to the boat included. Overhanging Opatija Riviera, Učka is a mountain in Istra facing Kvarner region. 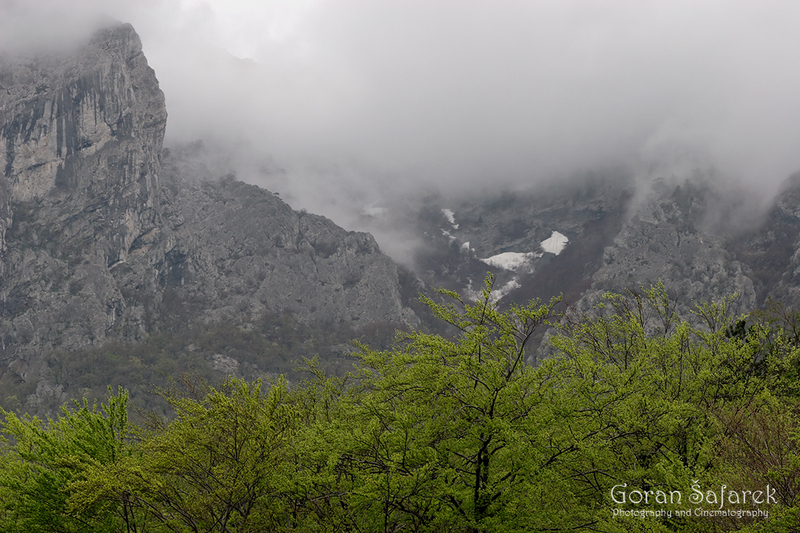 It is not steep, rocky and impressive as Biokovo or Velebit, but still offers great natural experience, especially in colder and rainy days on the sea coast. It is mostly forested, with grassland on a plateau. The Istrian side of Učka, near a road tunnel, offers striking geologic formations, eroded rock towers. The summit is easily reached by a car, but it’s more fun to climb on numerous hiking trails. There is no entrance fee, only for a guided tours. 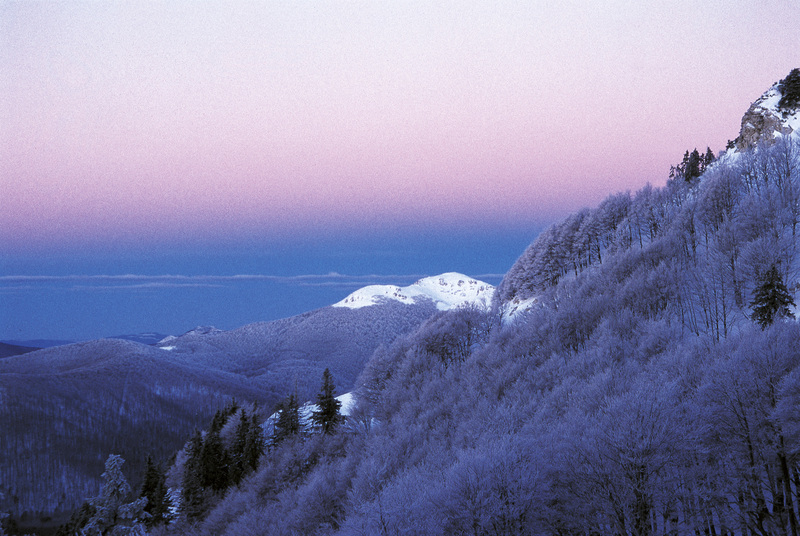 The highest part of Gorski kotar region, Risnjak National Park is one of the wildest parts of Croatia. It encompasses dense beech and fir forest, showered by rain and snow, the highest precipitation in Croatia. It s home to the wolf, lynx and bear, along with other mountain animals. Risnjak is traditionally popular among Croatian hiking population, but not so much for foreigners. There are several nice trails that are worth of single day or even better, hiking to the summit Veliki Risnjak (15xx) and staying in mountain hut overnight and go back the next day. The summit offer great views an all sider, including the Adriatic Sea and Alps (on a clear day). Other main attraction is Leska valley, situated close to the entrance point. Circular trail is also an educational guide with tables that will teach you about the life, geology, foret and other phenomena of the park. Accommodation is possible in mountain hut just below the Veliki Risnjak summit (80 kn) or some of the nearby villages. The national park headquarters are in Crni Lug, 13 km from Delnice. Plitvice Lakes are undoubtedly the most famous national park in Croatia. The pictures of glistening waterfalls tumbling down to the emerald and clear lake are world known. The 16 bigger and much smaller lakes crush one into other into other in a series of cascades, thank to the tufa barriers (See how are Plitvice Lakes created). The lakes are encompassed by a dense beech and fir forest; some parts are true primary forests like Čorkova uvala. The park lies on the old Lika road and easily accessible from various sides. The easiest way is from Karlovac. You can also pull off from highways in Otočac, Gospić or Sveti Rok. Needless to say, the price is high, 250kn (150 after 16:00), but it really worth every cent. 18km of wooden footbridges and earth paths will lead you to the most intimate parts of the lakes and waterfalls. White electric boat will silently glide across the bigger lakes, and an electric train will transport you from one end to the other. There are several walking circuits, smaller will take at least 2-3 hours. Don’t just run, enjoy the nature! 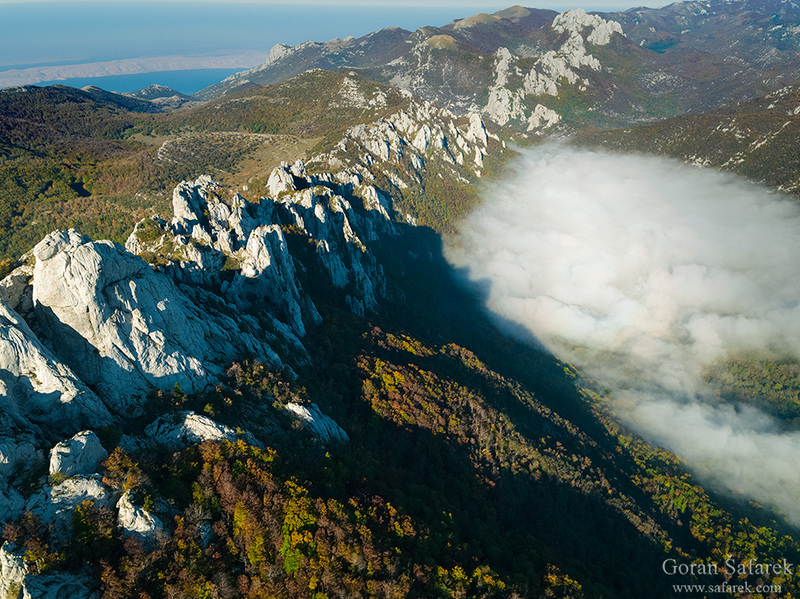 The northern part of Velebit mountain is the youngest Croatian national park, founded in 1999. The park is huge, protecting one of the wildest parts of the Croatia, wild predators and spectacular geologic formations. The park offer excellent hiking, with jawdropping views on Adriatic coast, but also on the striking mountain landscape, a mosaic of forests, grasslands and rocks. If you are lucky, you can glimpse on big predators. Fear not, they are not dangerous. He park headquarter is in Krasno village, on the inland side of the mountain. The entrance fee is rather symbolic – 30kn. You can stay in Zavižan mountains hut or “Rossi” shelter. You can easily approach it from the highway, pulling off in Otočac. 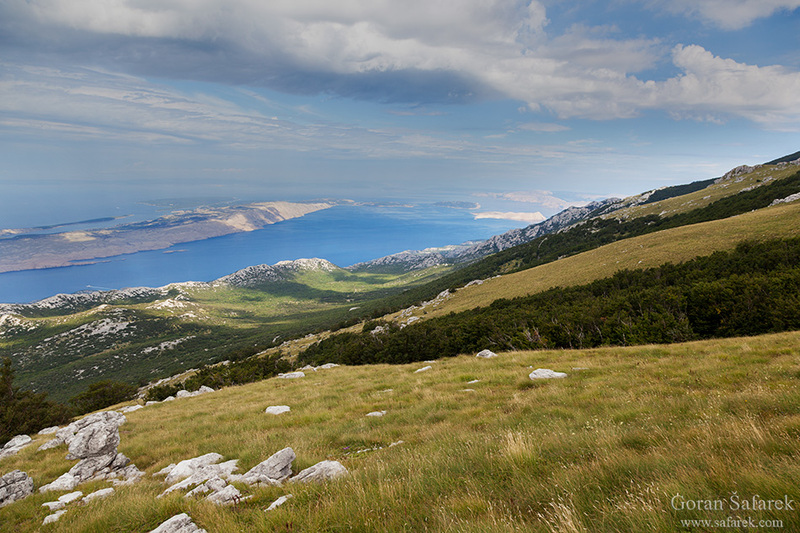 Nature Park Velebit covers entire Velebit Mountain, except Sjeverni Velebit and Paklenica national parks. It includes also the Zrmanja and the Krupa rivers and this is the reasn that is is not possible topaddle there on its own, only through licensed agencies. Its role is more protective and educational. There are no entrance fee and the boundaries are invisible for tourists. 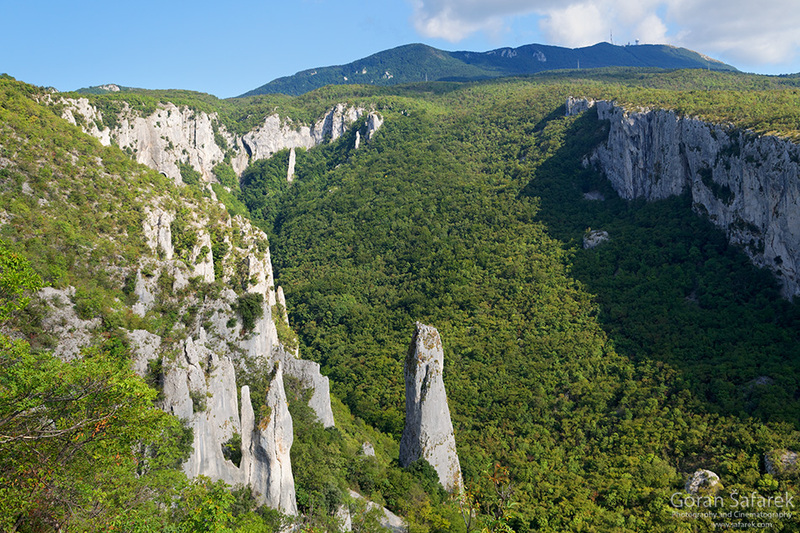 However, the park runs several objects like Cerovačke pećine, beautiful caves on the southern Velebit. The park headquarter is in Gospić. 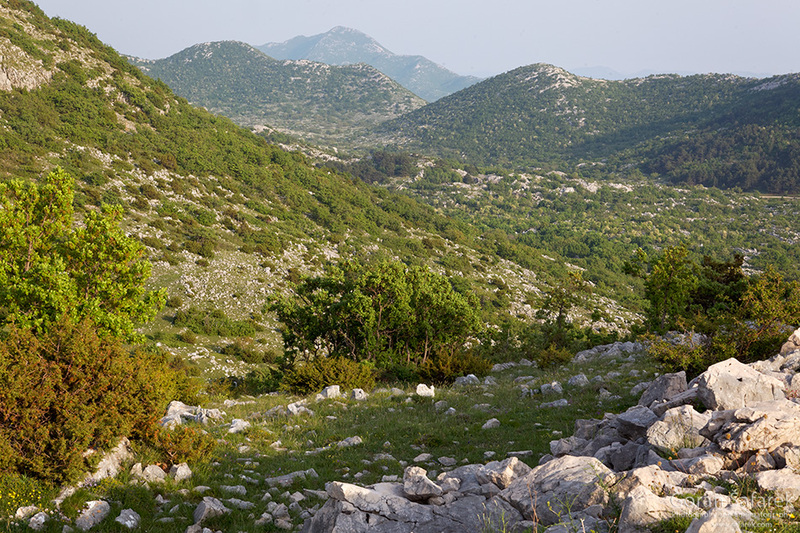 Southern part of Velebit Mountain near Starigrad, Zadar County, facing the Adriatic Sea is protected as Paklenica National Park. The main attraction is an impressive canyon, cut by Paklenica stream, the only permanent such water course on Velebit. It runs through big boulders, tumbling down in the waterfalls, cascades and rapids, in the shadow of the huge limestone rocks. Anića kuk is one of them, a xxmeters tall, a Mecca for climbers around the world. The canyon connects balmy sea shore and the highest peaks of Velebit. Good network of the trails allows the exploring of the entire park. The artery of this network is the main trail that follows the river and branches numerous times. Forests are also very interesting, where bear and lynx lurks. You can sleep in mountain hut if you are going to spend more days or, in the case of a one day trip in numerous places in and around Starigrad. There are mountain huts in the roof of the mountain, free of charge, but with basic accommodation. The entrance fee is 50kn in high season. Telašćica is one of the most beautiful panoramas of the Adriatic Sea, as it juxtapositions the robust and tall cliffs, the large and calm cove, the brutal rocky landscape and the colourfully diverse undersea life. Nestling right next to the Kornati is the equally spectacular Telašćica Nature Park, located on the south end of Dugi Otok, geographically a natural part of Kornati. That is where the southern tip of Dugi Otok splits into two shanks that stick out towards the Kornati and opens a large 69 kilometre long cove. 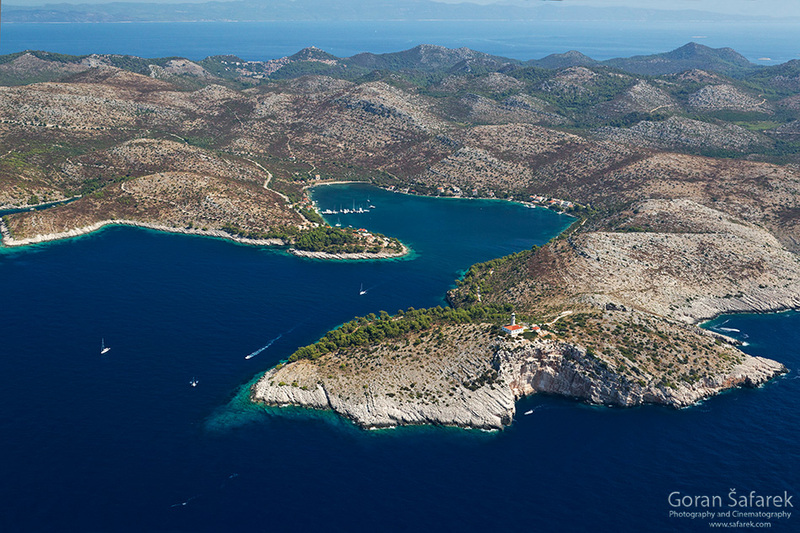 The cove is part of the natural characteristics that led to Telašćica being proclaimed a nature park in 1988 – the only nature park along the coast, after it was separated from the Kornati National Park. The park headquarter is in Sali. You can come with the car in Dugi Otok, or by bike. Wide and quiet bay is perfect for sailors and yachters. The majority of the tourist come by boat on a half-day tour from nearby tourist centres. The entrance fees rages from 40 kn to more than 100 for boats, depending on the size. Scattered like yellow-grey pearls in the middle of the Adriatic, Kornati are the most densely spread archipelago in the entire Mediterranean, featuring around 150 islands, isles and rocks. The islands and islets are almost completely uninhabited and also barren. The boats are obviously the only way to experience this park. Nautical tourists are especially privileged, as they can explore freely the archipelago. You’ll need a valid ticket to sail through the National Park, the price range from 150kn for a smallest boat offseason to 800kn for boats longer than 11 meters in high season. The rest are confined to organized boat tours, up to 400kn for a day long trip with meals included. Just a few hundred meters from the Adriatic coast From Murter to Pakoštane is located bih Vransko Lake. This shallow lake is the remnant of bigger Vrana marshlands, now reduced to the fertile fields. 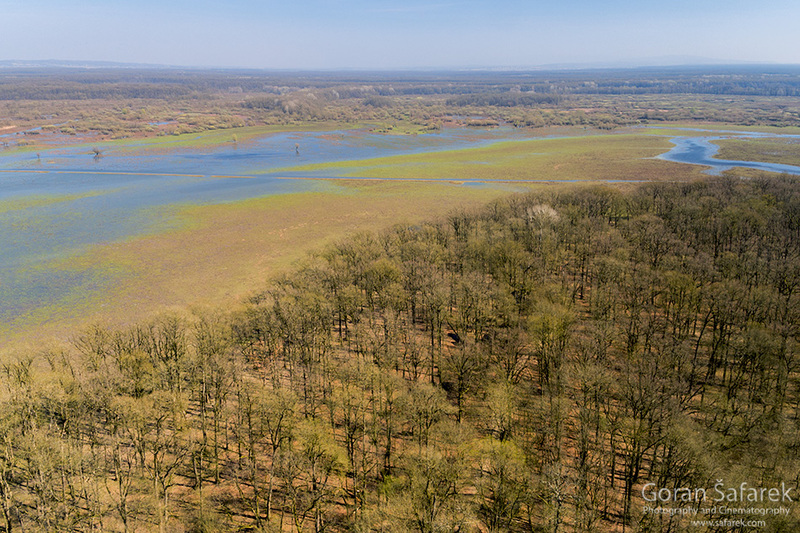 The Vrana Lake today is fully protected a an nature park, and the reeds on the western side are protected even stronger as a ornithological reserve. 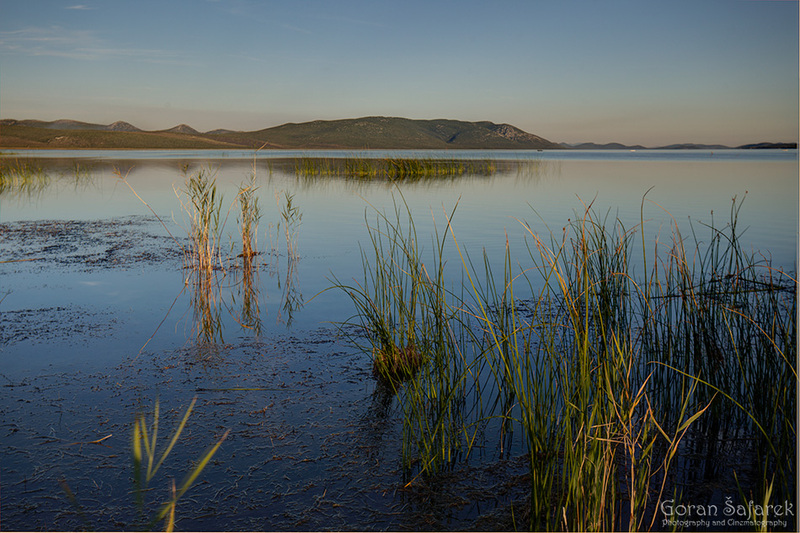 Vrana Lake is together with Neretva delta the most important breeding site for many birds, especially pigmy cormorant, purple heron etc. The lakes are easily approached from Adriatic road. 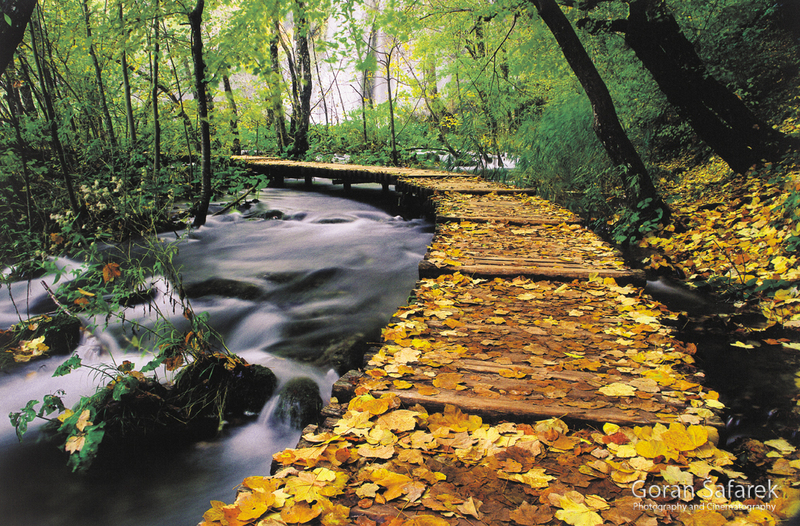 There is a wooden walkway with the hides in the ornithological reserve, on Pakoštane side. On Murter side, there is an info centre at Prosika. 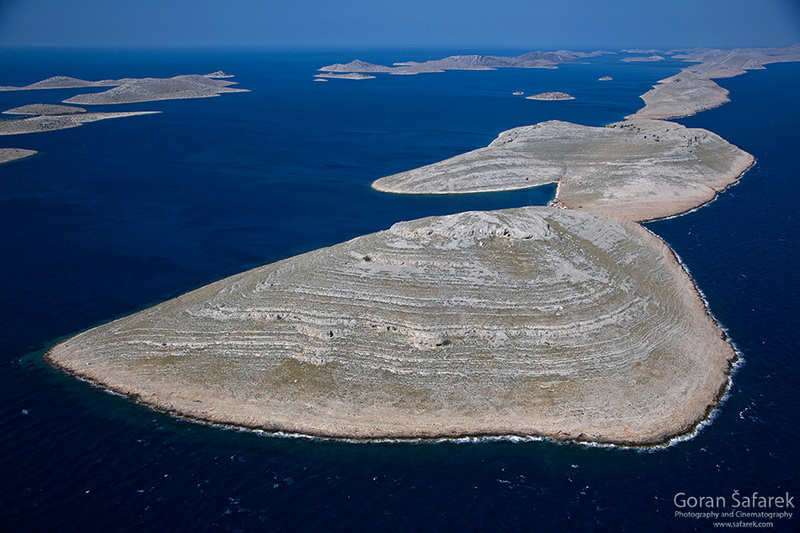 Kamenjak promontory offers great views, not only on the lake, but also on the Kornati islands. There is no entrance fee, only guided tours. 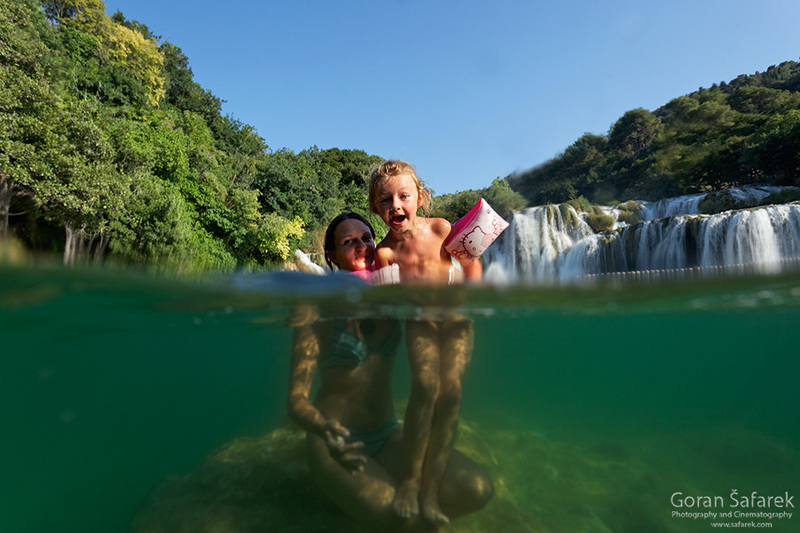 Unlike the Kornati, Krka National Park in the hinterland of Šibenik is easily approached from various sides, but the main focus point is Skradinski buk. This is the longest uninterrupted cascade in Europe, 800 meters long, with glittering falls and small lakes in between. Old, some renovated watermills are open to the visitors, even a small hydroplant, the first in Europe, But, Skradinski buk is only a small part of the park. There are other waterfalls and watermills, canyon and flowing lakes, forts and monasteries, there is even another river (Čikola), and finally the estuary. The summer is very crowded in Skradinski buk, but you can swim under the last waterfall, and experience the mix of the sea and freshwater. You can enter at two spots – one main in Lozovac, where you can leave the car in a big parking. You can also hike or ride a bike from Skradin, following the canyon. We recommend to visit other waterfalls too, Roški slap is very nice, and there are good paths to Manojlovački buk or Bilušića buk. The ticket price is around 100kn in high seaon. As one of the most remote of Croatian islands, Lastovo has preserved the natural values more than most of the other islands. Actually, it is an archipelago of the main island and almost fifty smaller, spread on the sea. The nature park is therefore very elongated, the westernmost to the easternmost with a lots of sea in between. Smaller islands are breeding grounds for sea birds like gulls and shearwaters. Zhey also host endemic plants, although some of them in almost arid conditions. The main island Lastovo is hilly, green, with deep bays like magical Skrivena luka, small karst valleys and mostly coastal villages and Lastovo town at the hill. The sea is very rich, especially on smaller islands like Sušac and Bijelac that offer top diving in Croatia with colourful Gorgonian corals. Southernmost national park in Croatia is Mljet, often named Green island due to the preserved forests. The park covers the NE part of the island. The main attractions are saline lakes (not true lakes, as they are connected to the sea) with incredibly balmy climate and lush pines. It is said that mussels grow on the pine branches that are immersed in the lakes. There are few villages in the park, some of them date back to ancient times of Greeks and Romans. 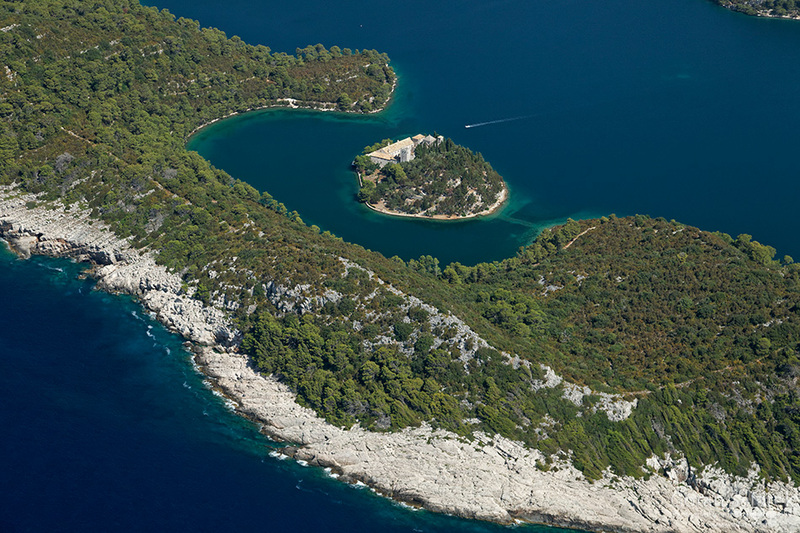 Mljet is perfect for nature lovers, which want to avoid the crowd and enjoy the silence. The national park headquarter is near Goveđari. The entrance fee is 125 kn in high season to 70 kn in low season. You can stay in Hotel Odisej in Pomena or in private accommodation throughout the island. Take your swimming suit, as it is possible to swim in saline lakes. Take also your mask and snorkel. Mljet is connected to the mainland – to Dubrovnik and Pelješac, also in the summer also to Split, Korčula, Lastovo, even Bari in Italy. Like a giant fortress, the Biokovo Mountain is dominating the entire Makarska Riviera, with only a narrow strip of the land on the coast. Stiff cliffs end at a highland with several peaks, the highest is Sveti Jure (1762m). This is the very craggy landscape, full of rocks and caves. Still, if harbours great biodiversity, especially in vegetation and underground fauna. This is the best place in Croatia to see an elusive chamois. A network of trails will lead you to the best sites in the park. Good mountain road leads from the coast all until Sveti Jure summit. The park HQ is in Podgora. The entrance fee is 50kn with discounts for staying more days. Medvednica is a mountain above Zagreb, an “island” in the plain. It offers spectacular views on Zagreb from several spots, but mostly forested. It is traditional hiking venue for inhabitants of Zagreb, with a good network of the hiking trails and mountain huts. For bikers, there is a network of eight circuit trails and one transversal trail with cycling signs. On the southern slope of Medvednica, at the top of the hill Mali Plazur, nests a picturesque medieval castle which has been watching over Zagreb for eight centuries. With more than seven kilometers of branching canals, Veternica is the sixth cave in Croatia by size, and has constantly been growing in length growing through the discoveries of Zagreb speleologists. The entrance to the park is free, but you have to pay the visit to the cave (40kn), Medvedgrad (15) and other guided tours. 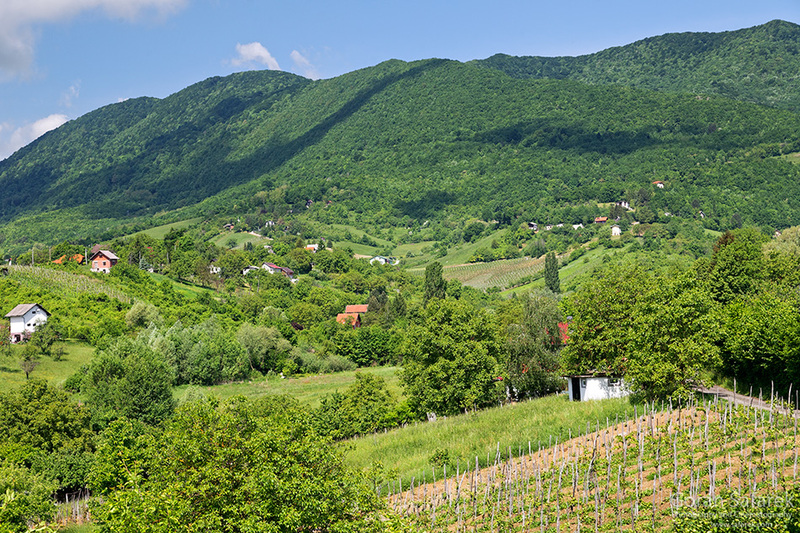 Not far from Zagreb is a very picturesque hilly region that encompasses two mountains – Samoborsko gorje and Žumberak. Samoborsko gorje is traditionally hiking destination for the residents of Zagreb. Easy hikes, a beautiful mosaic of forest, meadows and lovely villages makes it very charming. Marked trails and mountain huts render the stay very pleasant. March is very beautiful on sunny days with scores of flowers. Žumberak is more ofrested and somewhat less spectacular. There are several beautiful waterfalls though. Don’t forget to visit Samobor town and take famous kremšnite (cream cake) on a central square. Lonjsko polje is the floodplain of the Sava River and its numerous tributaries that converge here, not far from Zagreb. The park encompasses more than 50 000 hectares of the forests, marshes, grasslands and rivers. Such diversity of the habitats support great biodiversity, including black storks, spoonbills, deer, reptiles, amphibians and of course invertebrates. Completing this richness are traditional villages with wooden houses, and even more important, extensive agriculture. Thousands of the cows, horses and domestic pigs are grazing on the seasonally flooded grasslands, night and day, month after month. When water comes, they return to the villages. Numerous white storks that nest on the rooftops are the great example of connectedness of man and nature on the Sava floodplain. The park headquarter is in Krapje village, but there are other centres, like in Čigoć or Repušnica. Lonjsko polje is easily reached from several directions; the best is from Zagreb-Beograd highway, entrance Popovača or Jasenovac. 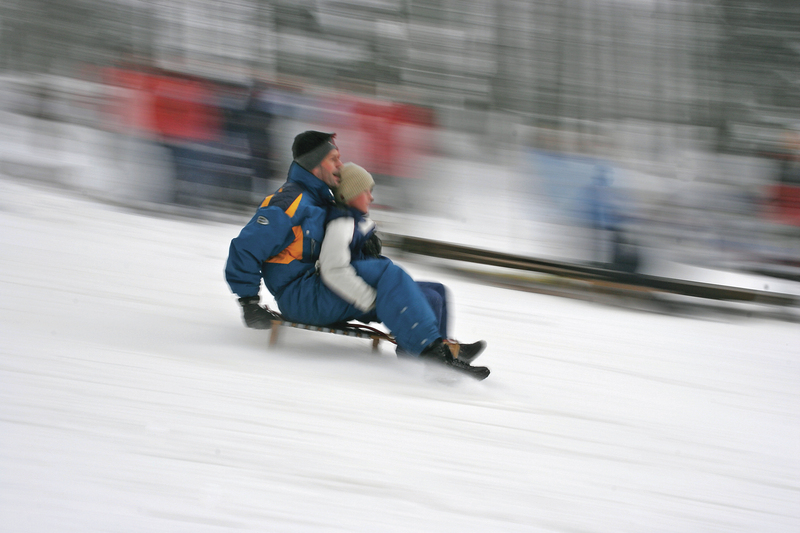 The basic ticket costs only 10 kn, but there are various programs that nature park offers. 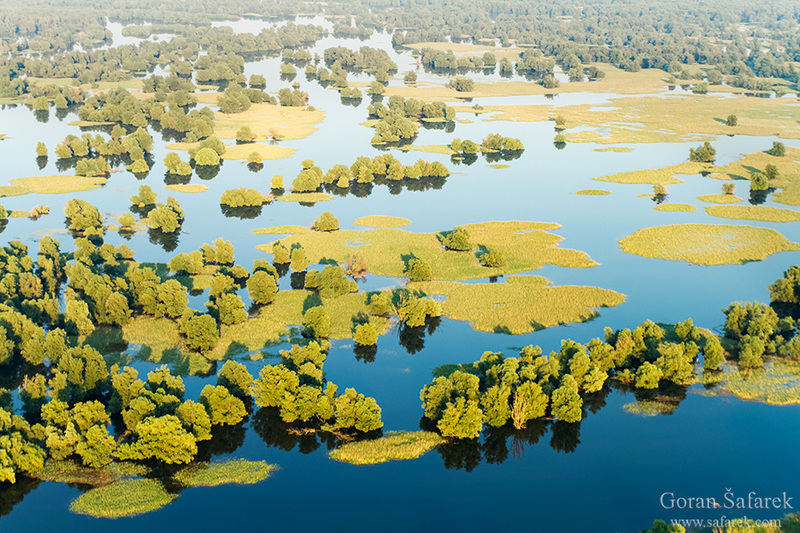 Sandwiched by the wild Danube and Drava rivers, in their rich and preserved floodplains is Kopački rit. 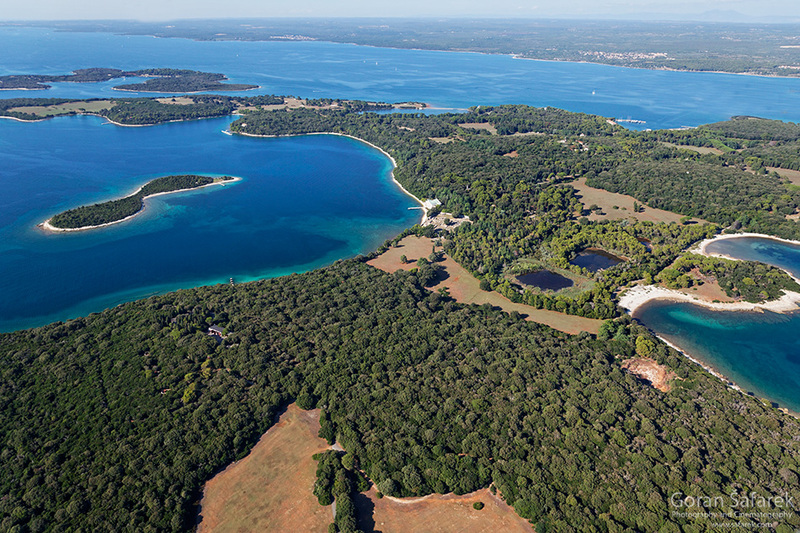 Almost 20 000 hectares of wildlife packed nature park is a natural gem of the eastern Croatia. Thousands of birds nest here or just replenish their energy during arduous journey to the south or back to the north. White-tailed eagle is one of them. This is the empire of the deer, wild boar, otter, beaver…They all find their home in the flooded forest of the willow, reeds, sedges and marshes. Osijek is the closest city, just 20 km from the park. The entrance is in the village of Kopačevo, where the nature park headquarter is located. You can first learn about the park in the new visitor centre, then proceed to the wooden footbridges above the marsh. The park can be visited by the bicycle, by foot and the tourist boat. Most of the accommodation is in Kopačevo village. The basic ticket costs only 10 kn, but there are various programs that nature park offers. 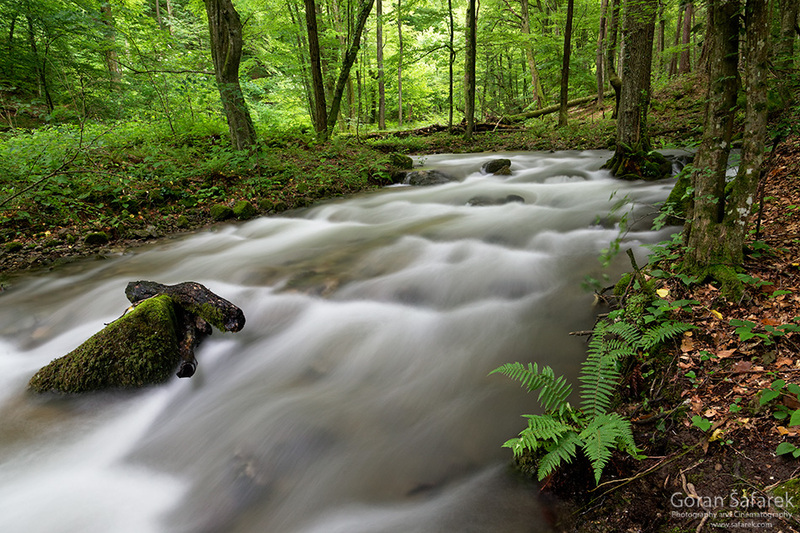 As a forested island in the fertile plain of Slavonia, Papuk is good hiking place in eastern Croatia. There are no rocky peaks and great vistas, but some geologic structures are interesting enough to justify the visit. The main point is Jankovac, two flowing lakes with a rather luxurious mountain hut. Just a 10-minutes walk leads to the spectacular Skakavac waterfall, a rare case of tufa in continental Croatia. Another interesting spot, on the western slopes of Papuk, is Rupnica. It is one of the most beautiful geological localities in Croatia, where you can see the magma-tendon, interesting volcanic pillars in the length of several hundred meters, going through 300 million years older metamorphose rocks of Papuk. Good white roads leads to Jankovac from Našice – Slatina road. Beside the walk, you can visit the info centre. Mountain hut offers good meals at very reasonable prices. Only organized groups pay the entrance fee.